Vauxhall has announced plans to cut 400 jobs at its factory in Ellesmere Port by the end of the year - nearly a quarter of the workforce. Just under 1,800 people work at the Cheshire plant, which has made the Astra since 1979, and makes about 680 of them each day. Vauxhall said it took the decision due to "challenging European market conditions and a declining passenger car market". 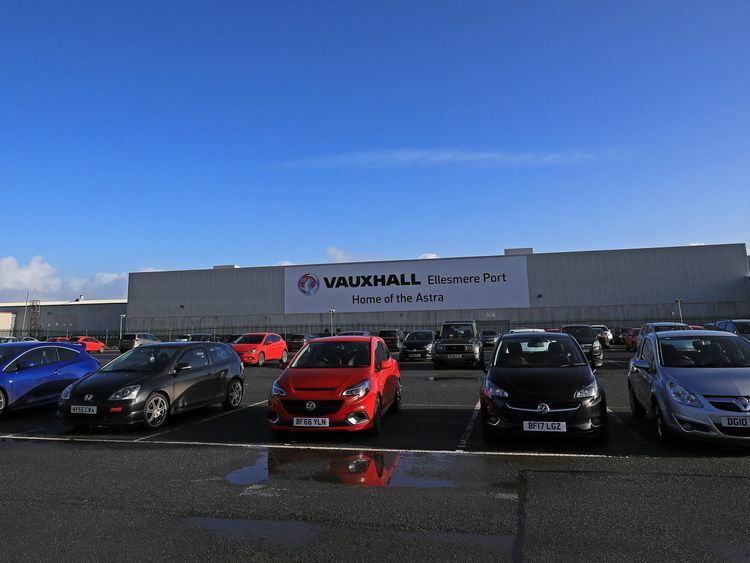 "Vauxhall needs to adjust production volumes at its Ellesmere Port production facility to the current level of demand and to improve its performance, in order to protect its future," the company said.The carmaker plans to move towards a "single shift operation" during 2018, saying a plan had been put in place for a "voluntary separation programme" amounting to around 400 heads by the end of 2017. Demand for five-door family cars like the Astra is falling, while the market for SUVs is growing. Even so, it has been the sixth most popular new car for motorists this year. More than 34,000 were registered between January and July.The Ellesmere production plant produced its four millionth Astra in September.The European Commission approved a €1.9bn deal in July for French car giant PSA Group, owner of Peugeot, to buy Opel and Vauxhall from US firm General Motors.The takeover raised concerns in the UK about the impact on jobs at Vauxhall plants and supply companies.